What can hold your phone and make you afraid to go in the water? 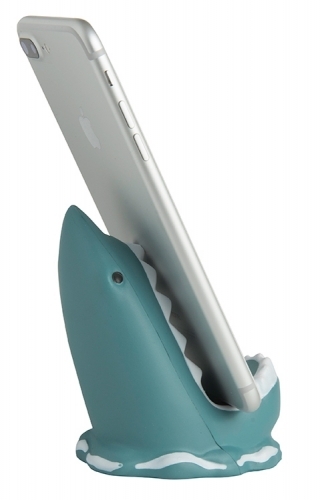 This shark phone holder is the ultimate promotional product with a bite! Perfect for advertising aquariums, sports teams, and surf shops! Any company can get creative and put the fear in their competition by handing these out at trade shows to new customers and clients! Products are not intended for use by children or pets. They may present a choking hazard to children under 3 years of age. Item Size : 3" X 4"